1.What inspires you to keep on writing? The love of writing and my infatuation with words and how through utterances the course of life can change. I think poetry is a society, does it have an effect on the greater society? Well as small as that effect may be i believe it has a considerable effect on the arts of the society we are living in. Nothing special really, i am a writer at heart and poetry is currently my release valve. 4. Lauryn Hill once said “I get mad frustrated when I rhyme, thinking of all the kids who try to do this for all the wrong reasons” Do you believe that there’s such a thing as becoming a performance poet for the “wrong” reasons, if yes what would you say those reasons are? No i don’t agree, i do believe however that all people who aspire to be a poet or performance artist do have what it takes to achieve the desired goals. Content and performance are always in question but talent is something that is never questioned, id rather embrace the differences than sink in a community of like minded writers and performers. 5. You’ve obviously been to a lot of open mic sessions and poetry shows, what is the one thing you can’t stand to see on stage? Id say count your cost before joining the band wagon i.e. Know what you are getting yourself into first before undertaking such a career. Because like every other job it has its ups and downs, perseverance determines success for a writer. 7. What should we expect from your showcase? My showcase will be a politically romantic concept, im going to be dwelling into myself and exhibiting my internal behaviors. 9. They say it takes ten thousand hours for any individual to be a master at something, how many hours would you say you’ve put into writing? Hahahahahaha, id say iv just completed a quarter of that, i still have 3 more quarters to go. 10. If you were given the chance to go back in time and have a conversation with the 12 year old Rennie, what would you tell him? I would tell him to pay a lot of attention on himself, youth is only precious because of the amount of time they have and depending on how they utilize that time it determines their older years. 1. Please tell us how you’re feeling about showcasing on the word n sound stage once again? I’ve been missing in action for some time now. I’m excited and ready. 2. Can you remember the very first time you got on stage, how was that experience? i was born to seal the gap on stage, I’m a natural. I killed it! 3. What made you decide that poetry is what you want to do for a living? Poetry does something to you, it changes you and not only your perception. Truth be told, writing and conceptualizing is what i pride myself on, and the only thing i want to master now. 4. What would you say is the best way to deal with forgetting your lines on stage? Breath, we all die on stage but the most important thing is standing up again. Giving up can not be an option. 5. What would you say to anyone who thinks that you’re poems are racist? 6. Who/what has been the greatest influence on your work? 7. 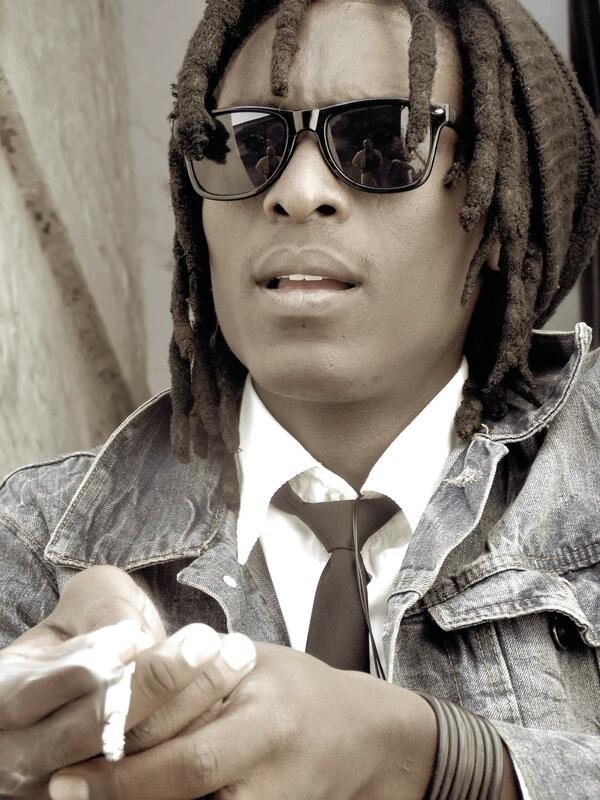 Would you cut off your dreadlocks for a corporate gig, if not why? Never, my hair is sacred. Dude my hair is my crown. 8. What are some of the challenges you face as a full-time artist? have to work twice as hard than my employed brothers and sisters. I have to prove to myself everyday that i made the right choice by resigning from my job. 9. What would you like to say to all the people who will be seeing you on the stage for the first time? Your mama warned you about me. 10. What is the next step for Masai Dabula? Life is my stepping stone… All I know is that by the age of 30, I’ll have 20 books under my name. Not to mention short films, plus I’m working on building an art centre in my Township. All in all, the sky is infinite and God is my limit. 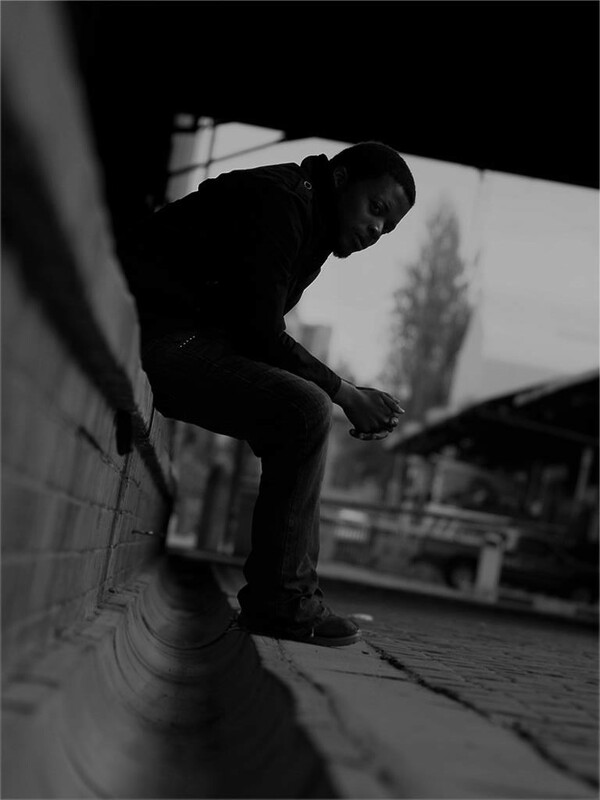 Thando Ngcobo, a durban based poet who tells it like it is. Andrea Gibson (born August 13, 1975) is an award-winning poet and activist who lives in Boulder, Colorado. Her poetry focuses on gender norms, politics, and the struggles queer people face in today’s society. Gibson disclosed that she chose to write what was in her bones, and thus these subject matters are what came out. On top of using poetry to express what she feels and provide social and political commentary on real issues, she is involved with many group activists. She often performs at Take Back the Night Events, LGBT events, Pride events, Trans* events, Anti-war rallies, Peace rallies, organizations against the occupation of Palestine, groups focused on examining the wrongs of capitalism, patriarchy and white supremacy. She also works with a group called Vox Feminista whose model is to “comfort the disturbed and disturb the comfortable” on all these issues. Gibson grew up in Calais, Maine. She is the daughter of Mark and Shirley Gibson, and has one sister, Laura, whom she mentions in her poem ‘Titanic’. She attended Saint Joseph’s College of Maine. Later, she moved to New Orleans with her girlfriend. In 1999, the two moved to Boulder, Colorado. She went to her first open-mic in Denver. 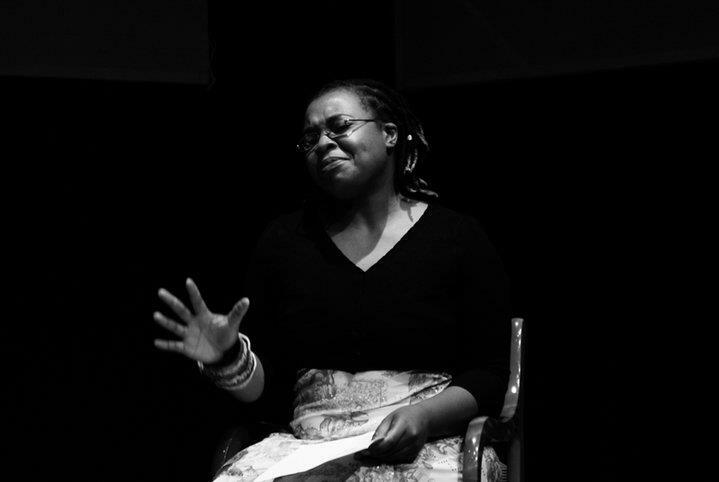 A four-time Denver Grand Slam Champion, Gibson finished fourth at the 2004 National Poetry Slam, and she finished third at both the 2006 and 2007 Individual World Poetry Slam. In 2008, Gibson became the first poet ever to win the Women of the World Poetry Slam (WOWps) in Detroit. In 2011, Write Bloody Publishing published Andrea Gibson’s 6th book, “The Madness Vase”. In 2009, they published her first syndicated work, Pole Dancing To Gospel Hymns, She also has self-published four books: Trees that Grow in Cemeteries, Yellow Bird, What the Yarn Knows of Sweaters, and Pole Dancing to Gospel Hymns. 1. Who is inaudible? And why the name? 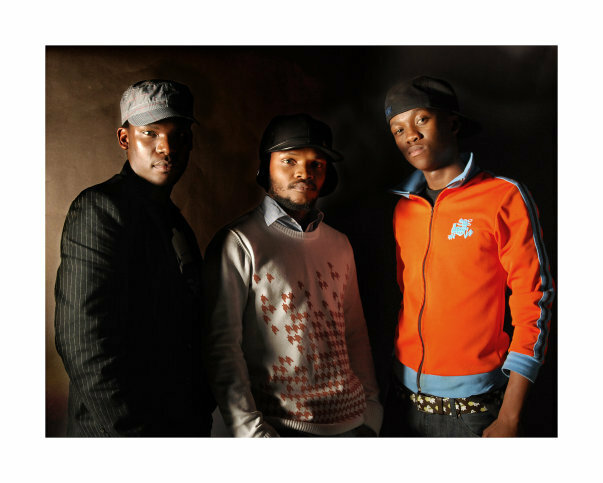 Inaudible consists of Mutle Mothibe ( writer/ performer), Thabo Manto (writer/ performer) and Mohale Molefe( producer). 2. How, when and why was Inaudible formed? 2. How, when and why was Inaudible formed? It was 2003 at the Vaal University of Technology. Two poets ( Myself and Mutle)were sharing their pieces at the back of the cafeteria ( a place where rappers, graffiti artists, poets and singers hang out) with a producer ( Mohale Molefe). Mohale was so excited by what he heard that he suggested we record our material. A week later we were at Mohales place recording on his mixtape “pilgrim Age”. Pilgrim Age was a rap mixtape and a lot of people where asking who the poets where on the mixtape and so we decided to record our own work. 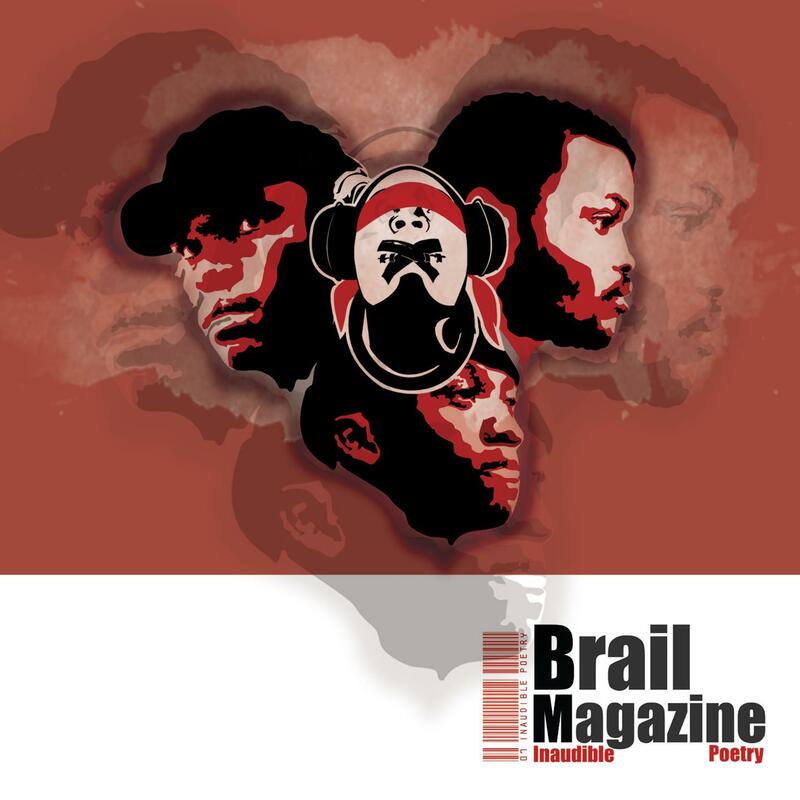 We called ourselves Inaudible because at the time we recorded our work we realised that the way we wrote and the music that Mohale made for the words was never heard before. “unheard’ poetry didn’t have a nice ring to it so we decided “Inaudible” was more suitable. Inaudible was formed because we had stories to tell and we genuinely loved what we do. 3. What makes Inaudible different from other poetry collectives? At the time Inaudible was created most recorded poetry had a similar form to it. The writing had a similar theme and it was packed with allot of refrains. Inaudible on the other hand told stories and dabbled with Ideas most poets did not explore. 4. Inaudible has released three albums, how have the albums been received? Each of these albums were recorded and distributed mainly in the Vaal Triangle area but they somehow found their way to Capetown, P.E, Bloemfontein, KZN, and other places. I think definition was the album with the most influence. Till this day we still get comments from people telling us that they started writing because of the inspiration they got from that album.5. What is Inaudible currently working on? 5. What is Inaudible currently working on? 6. Is it challenging to maintain your individual identities and brands while being part of the collective? As Inaudible it is not very challenging at all because we formed the albums in such a way that we could still maintain our individuality within the collective. Also when you see us perform live it is very easy to tell us apart as we have different styles of writing and performing. 7. Why are we not seeing a lot of collaborative work within poetry? 8. The funniest moment on stage was when…(please complete the sentence)? When our producer Mohale Molefe got on stage with us and gave an amazing performance ( he has always been behind the music, we never expected it).9. 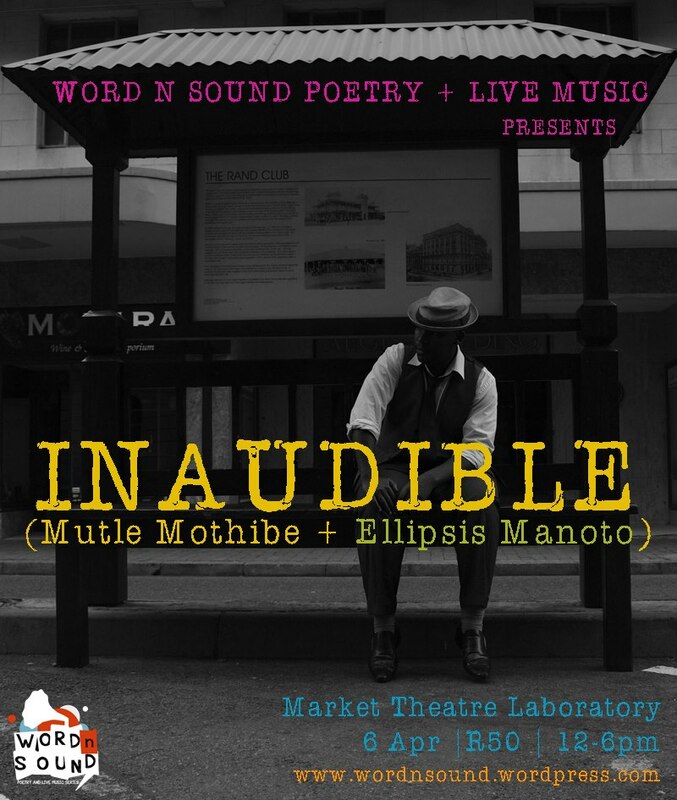 Inaudible is showcasing at the next Word N Sound episode. What should we anticipate from this performance? 10. Andrew Manyika will be showcasing as well. He says your album ‘Definition’ was the first spoken word product he ever heard. How does that make you feel and what are your thoughts on him as a writer and performer? 9. 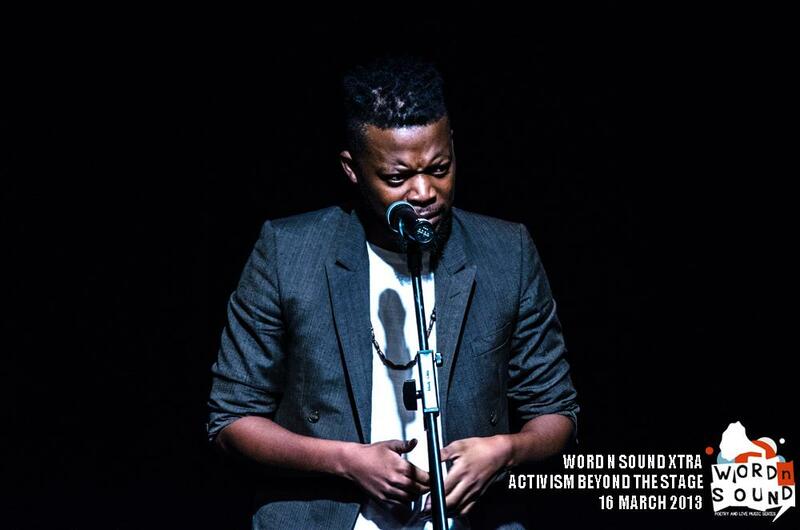 Inaudible is showcasing at the next Word N Sound episode. What should we anticipate from this performance? The best of Myself and Mutle. And Hopefully our producer will have a surprise up his sleeve fro Word n Sound audiences aswell. That makes us feel very proud indeed. Andrew is one of my favourite writers aswell. I was awestruck by his performance at last year’s Word n Sound Open Mic Finale. 1. What inspired you to start House of Hunger? I didnt start HOH. Its a project that belongs to Afican Synergy and supported by Alliance Francaise. I simply helped launch it here in SA. House of Hunger had been running for 5 yrs in Zim and we launched ours in 2009. my love for poetry slam and wanting to promote and develop the culture of poetry slam. 2. 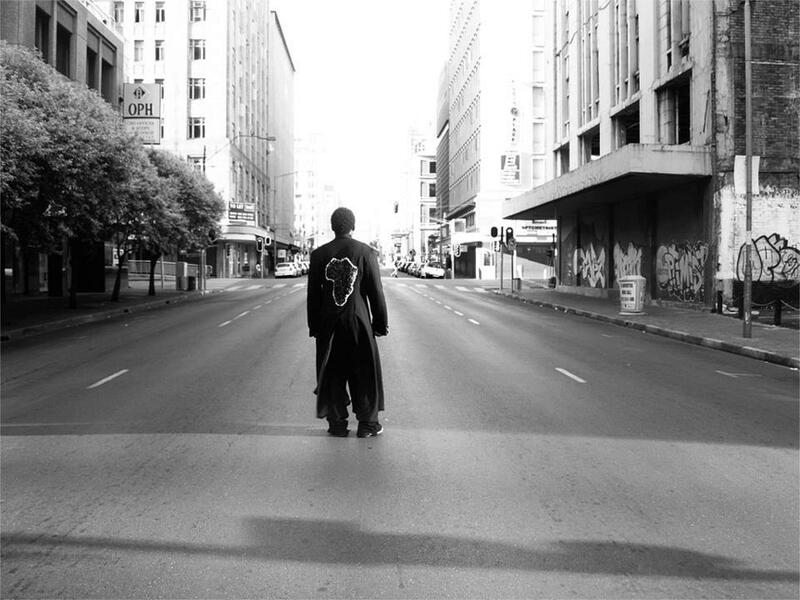 You launched House of Hunger in Jo burg, what were some of the challenges you faced in doing so? getting poets to buy this idea of slamming, to now I struggle to get poets coming to the shows on time, my other challenge is when they are 2 or 3 more spoken word events in jozi,happening at the same time. 3. 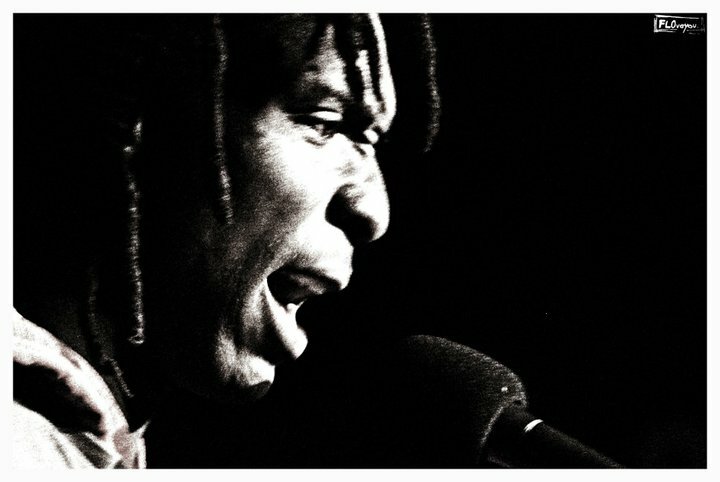 You’ve traveled and performed in many different countries, what is the one constant factor about poetry in any country/city? How poetry moves the masses. Its power! 4. Do you find it easier to write your poetry in your native tongue (Shona) than in English? 5. Do you always write with the intention to perform? How different is writing for the stage from writing for the page? 6. Have you been published in any book? 7. What are your thoughts on competitive poetry? 8. You run a vibrant slam at HOH. What do you think makes a poem worthy of winning a slam? Any poem deserves to win. unless if you are running with a particular theme, then u can design a judging criteria. well, for me its never about winning but what you are saying, the point is the poetry. as you have seen, there is nothing special about our judging system at HOH. We just engage in the love and fun of it. Its volunteers from the audience. Some times for me a poet says nothing and get more points and when a deep poet performs they get less points. 9. This will be your first time on the Word N Sound stage, how do you feel about it? I am honored, I have been wanting to take part since it came on the scene. but because I have been up and down I couldn’t take part. so yeah. I am excited and nervous! 10. Do you see possibilities of House of Hungry partnering with Word N Sound on any projects? If so, what ideas do you have in mind?